Whatever you are wanting to sell we can help. We sell whole or part of home estates, business inventory, collections or individual items. We can help you declutter or empty you your house. 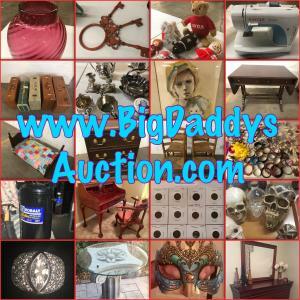 Big Daddy’s Auctions handles everything from organizing, photography, cataloging, listing, advertising and shipping. We sell in all 50 states. We are committed to meeting the needs of our clients. We recognize that each clients needs are personal and unique. Put us to work for you.